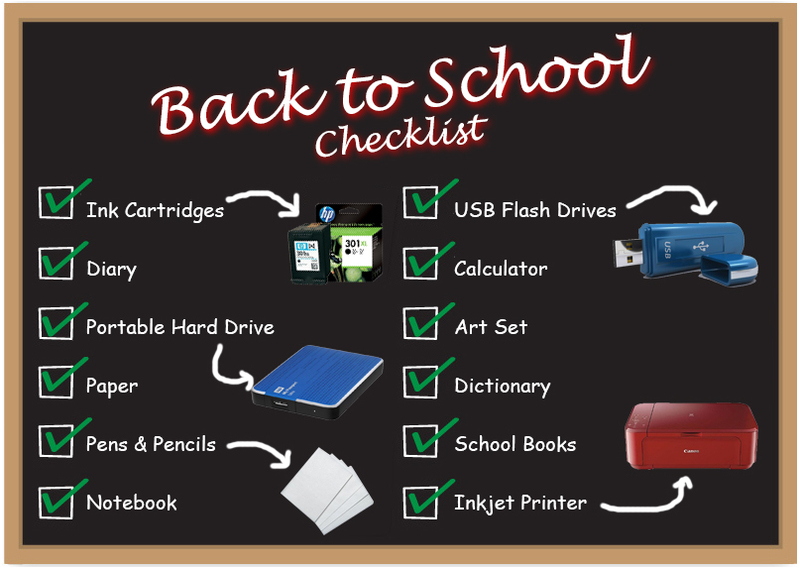 Home Ink Cartridge News Back To School Checklist! If you’re heading to college, or heading back to school, chances are that you will need ink cartridges and other accessories to keep you equipped for the rest of the term. Here at https://www.inkntoneruk.co.uk we have created a ‘Back To School’ Checklist so that you can use it to remind yourself of what to get before you start going back to school or college. Remember at Ink N Toner UK we offer a wide range of ink cartridge supplies at discount prices, as well as school essentials like USB flash drives, portable hard drives, photo paper and inkjet printers if you don’t have one already.